It's been a while since we've tried a new cocktail recipe. Apart from discovering a recent love for Old Fashions I've been content with the St Germain concoctions that Robert comes up with, and hadn't thought much about switching up the routine. IPA's are my go to beer, and I love a good cocktail... so when Robert told me he was making IPA cocktails my eyes lit up. If you're not into bitter flavors, this is likely not the drink for you (but we did make a Rosemary Grapefruit Cocktail a while back that you might enjoy!). Fresh orange juice balances out the initial bitter flavor and adds just enough sweetness. I liked using the Cisco Brewers Indie Pale Ale, actually I love all of their beers but the IPA worked well in this. Robert made his with Firestone Walker Union Jack and that was super delicious as well. We recommend trying out different IPA style beers to find which one you like best. 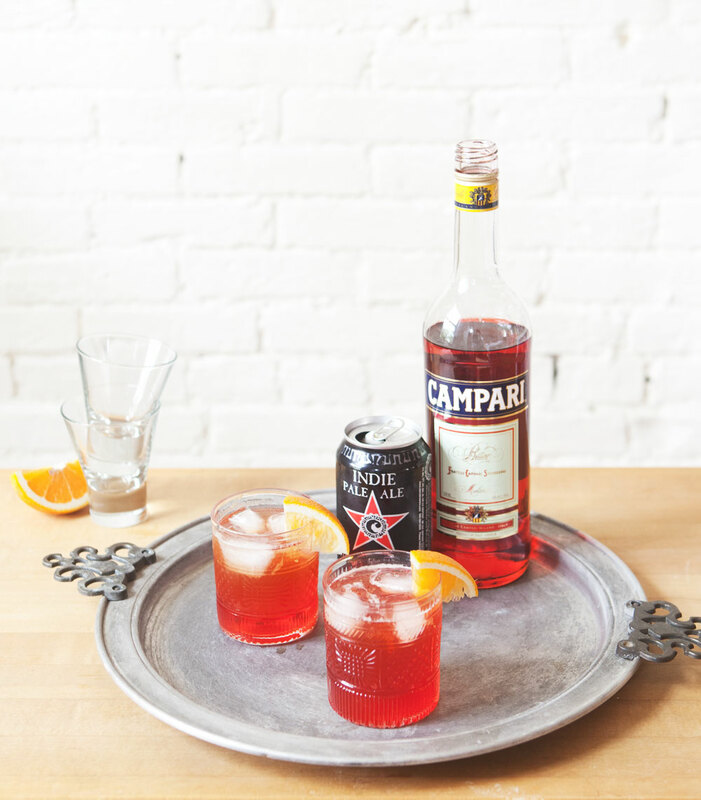 In a highball cocktail glass, combine Campari and orange juice. Top with IPA and garnish with orange wedge.